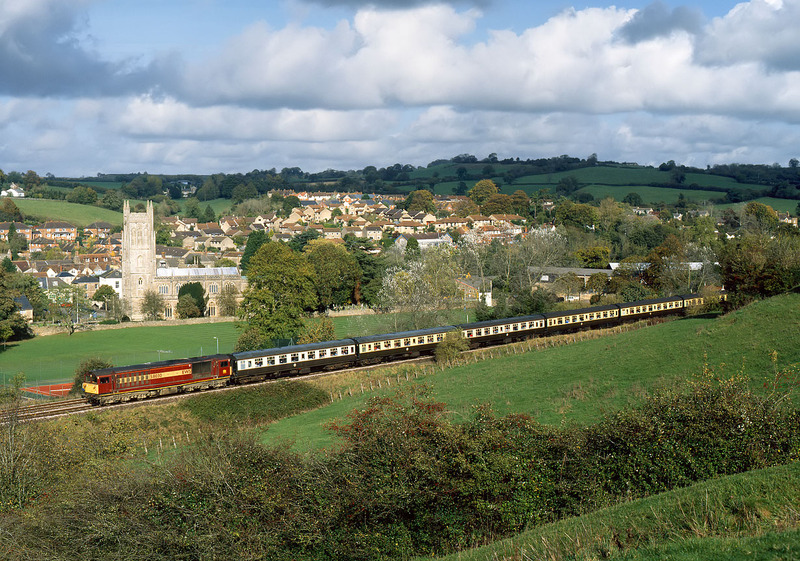 A panoramic view of Bruton, in Somerset, on 27 October 2001. Making a change from the usual procession of HSTs, 58030 passes by with the Pathfinder Tours 1Z46 07:01 Crewe to Taunton 'Tone Bone' railtour. With the clouds rapidly approaching (note the dark background), I was very lucky to get this one in the sun!